Frozen Foods Phase Change Energy Solutions / PU Insulated Shipping Cooler 20.5"X13"X14"
· Superior insulation, durable, economical, recyclable and manufactured in the any lands. · Inside box dimension: 20.5"x13"x14"(520X330X350mm), outside box dimension: 24"x17 "x17.7" (610X430X450mm), wall thickness 2. " 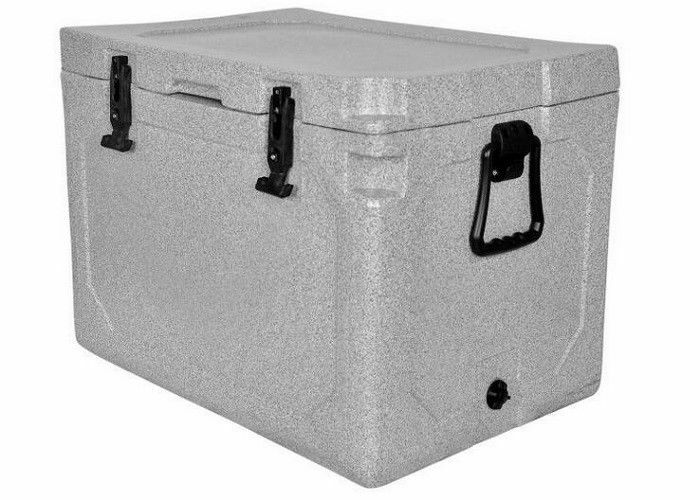 Keep your thermal sensitive products colder, longer with this eco-friendly, insulated shipping cooler. It is made of bio-stable polyurethane foam which insulates better than expanded polystyrene and is made of a disposable Class 7 curbside Material allowing you to throw it in the Trash. Disassembles flat, cutting your disposal space in half. Nordic ice packs are the suggested refrigerant to keep your products cold. (For best results, fill all void space inside the cooler with extra packaging Material).